"I listened to the original quite a few times and really just tried to put myself in that situation," Shines tells us, talking about the creation of this remix, debuting today on yes/no. 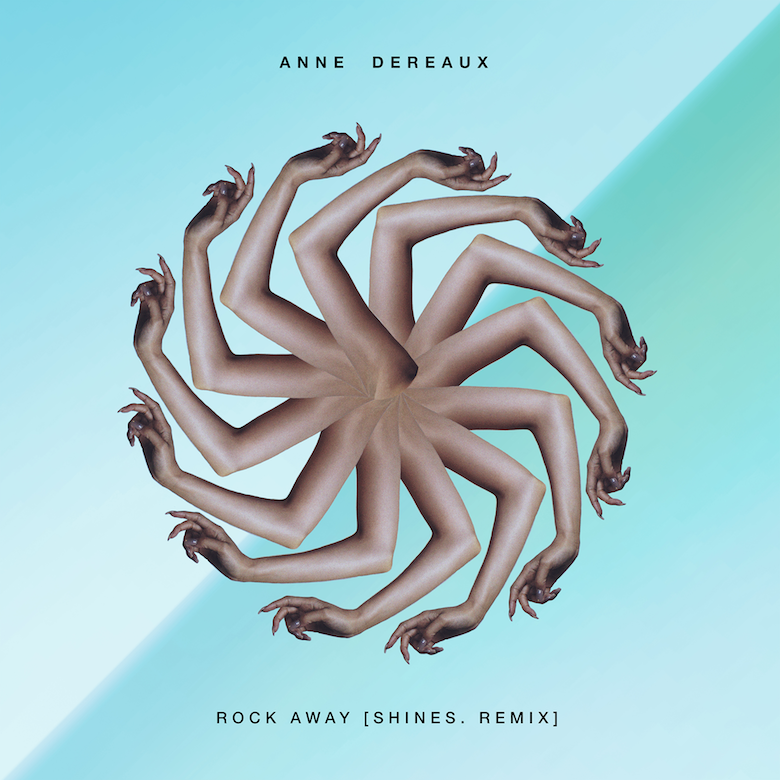 The original 'Rock Away' by Nashville-born LA-based Anne Dereaux is imbued with a brooding attitude and beset by hard thudding beats. Shines takes that looming atmosphere and stretches it out over a collage of percussion, knife-edge cymbals and clanking hi-hats and organic clops and clicks, sub-bass glooping with subtle confrontational booms, vital and spooky, like noises of a nocturnal forest. Dereaux's vocals float ghostly with reverb, resonating in the mysterious thickets of sound. The track moves via an insectoid flourish at 01:45 from its first, trap-inflected tract to a midsection whose lo-fi clacking beats underpin a bubbling cauldron of synth, tick-tocking in its slow-motion clock swaying rhythm, heady ambience swirling with phasing coils of twinkling sound like watching a meteor shower in an intoxicated haze, the sound building from the sparse yet viscous brutalism of its first section into something ambiguous. The third and final section is doused with clarity, the sounds warmer, less abrasive, glimmers of glitter as the vocals call out and whirl like dappled sunlight. "The goal was for you to go on an introspective trip," explains the producer—and as we move from the dense depths of the forest, lost, stumbling unwittingly through thick undergrowth, and make it into spots where finally you can see the sun through gaps in the trees, it feels as though this goal was thoroughly achieved. 🔔 In related news, Shines' self-titled EP is out now.